I had a great time meeting lots of folks at the Cape Cod Young Professionals "Back to Business Bash" last Thursday night and am looking forward to meeting more of you at the "Love, Live, Local. Fest" this Sunday, Sept. 28th in Aselton Park, Hyannis (near the boat docks!). These are great events with lots of local artwork and all kinds of cool products. The view isn't too bad either! Come grab some swag. Speaking of which, we had some contest winners via the instagram feed last week, so be sure you're following us on your favorite social media platform. Hats are going into production this week! I'm pleased to announce that Cape Cloth will be offering Winter beanies as well as unbelievably comfortable, broken-in classic hats! All it took were a few chilly days last week to remind people that we're in the middle of Fall and pretty soon...[content removed for positivity]...we'll be that much closer to summer again. I'm also thrilled to relay that Cape Cloth and CapeAbilities had a fantastic meeting and we're going to be able to help out lots of people, which is awesome. There will be a lot more details to follow as our relationship grows. I can't put into words how proud Cape Cloth is to be affiliated with an organization like CapeAbilities and all they do for the community. While attending Dennis-Yarmouth High School...a while ago, I was fortunate enough to help in the WAVE (Work Aptitude Vocational Education) program and the perspective gained from those with special needs is unrivaled. Their spirit is contagious and refreshing. Isn't that what Cape Cod is about? Celebrating this special swath of land and the people on it? Maybe I'm an idealist like Emerson, but that's the Cape Cod I grew up on. 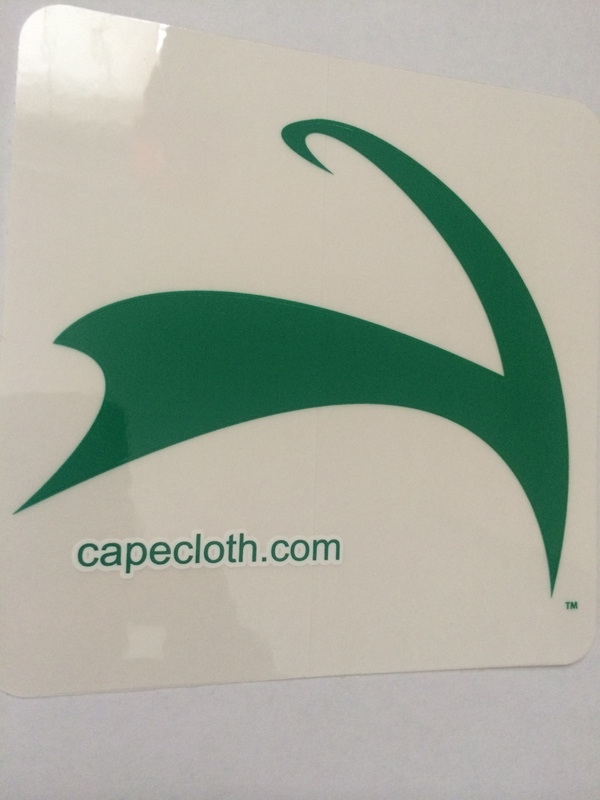 Cape Cloth will do it's part to make sure it's the Cape Cod we continue to live on, too. That's why Love the Cape, wear the Cloth is our creed.